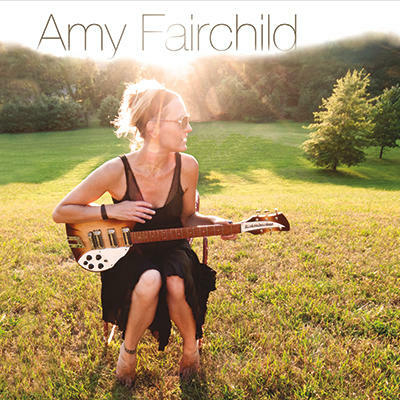 Amy Fairchild is one of those musicians, who for some unfathomable reason, has not had any widespread commercial success despite releasing well-conceived albums and touring constantly for the past 20 years. Her voice is somewhat like Joni Mitchell’s and her music is similar to that of Sheryl Crow. This combination of styles has served her well when recording her own compositions. She has now returned with her fourth album of original material. The music rocks, it rolls, it explores the quiet places of your mind, and always entertains. Her voice is a good match for her songs as it can convey her stories with passion and empathy. Fairchild sets the basic melody via her acoustic guitar play and then adds more instruments to build her sound. Songs such as “Long Way Down,” “Get It Right,” “Time Bomb,” and “Oh Marie” are musical flights of fancy that seduce you to grab ahold of and go along for the ride. Amy Fairchild has created another excellent album that hopefully will bring her some well-deserved attention.